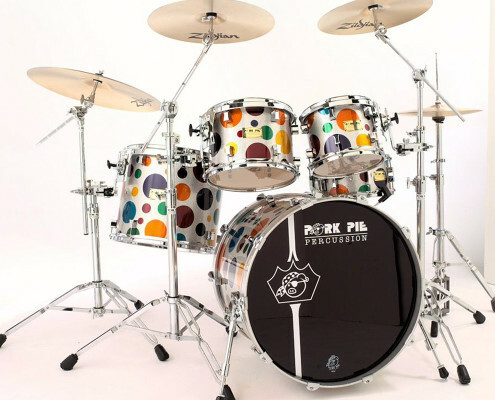 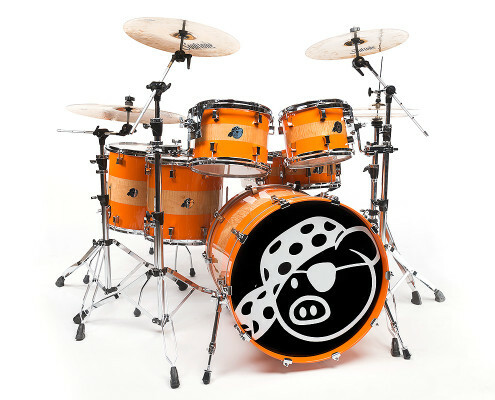 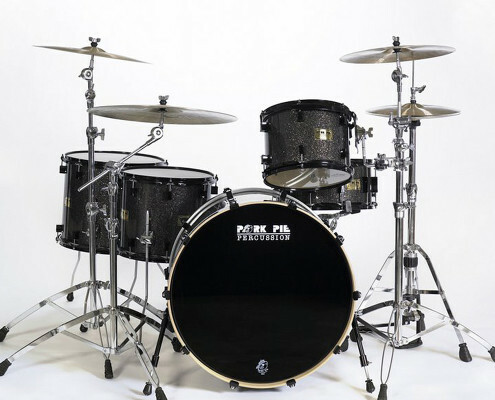 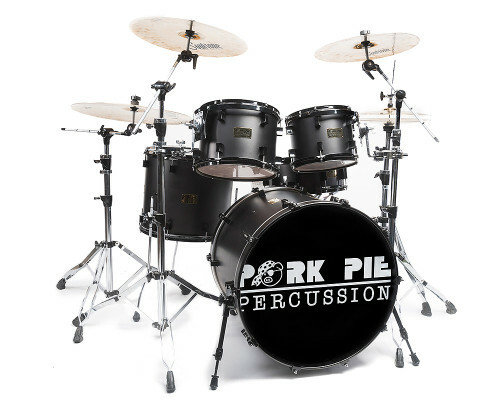 Pork Pie USA custom drum are made by hand at the Pork Pie factory in Canoga Park California. 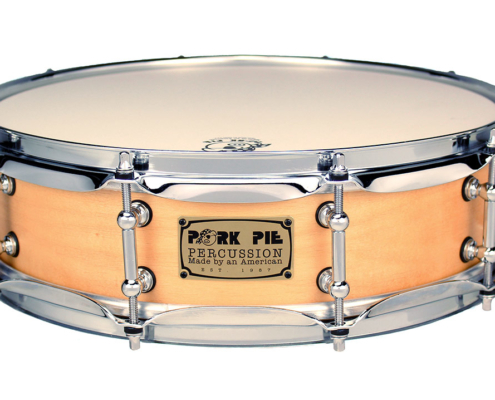 Made to Pork Pie’s high standards using only the finest materials available in today’s market. 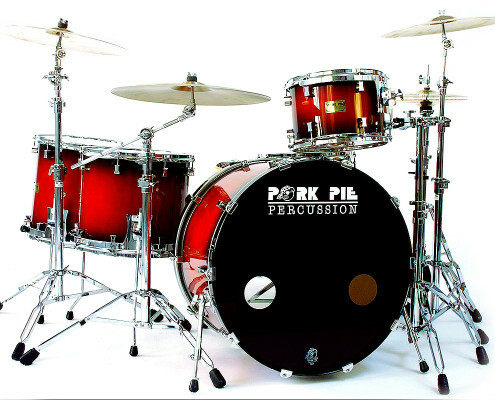 Bill Detamore, the founder of Pork Pie is a hands on owner. 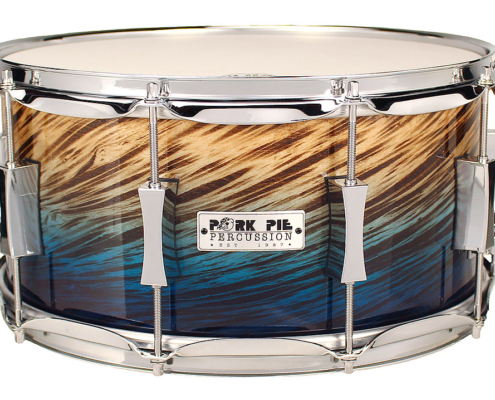 Bill handles all of the painting duties and edge cutting. 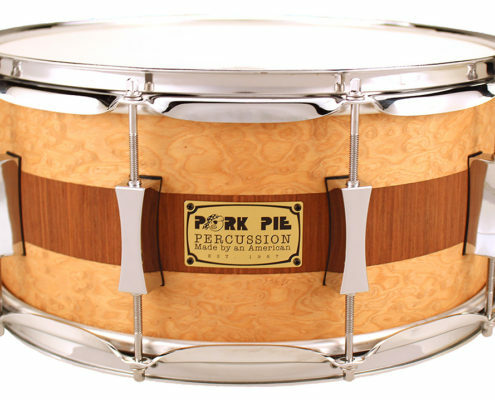 The crew at Pork Pie follow Bill’s example of quality for every build. 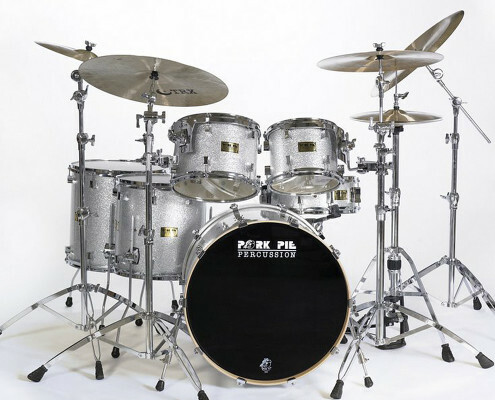 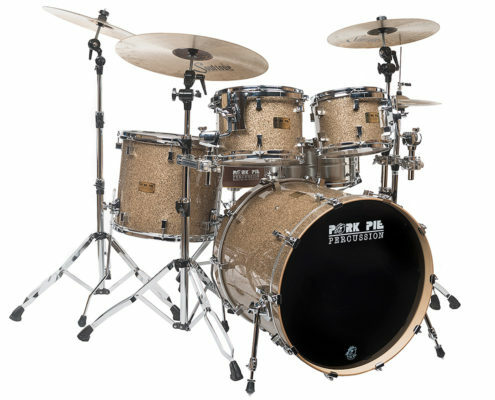 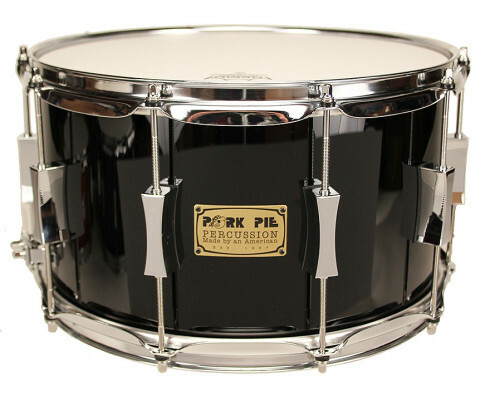 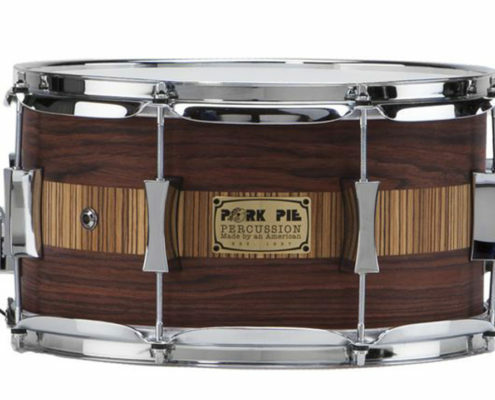 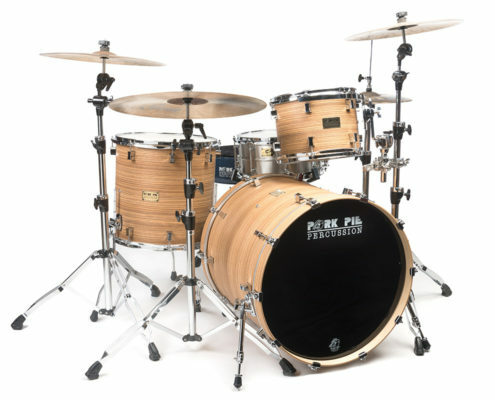 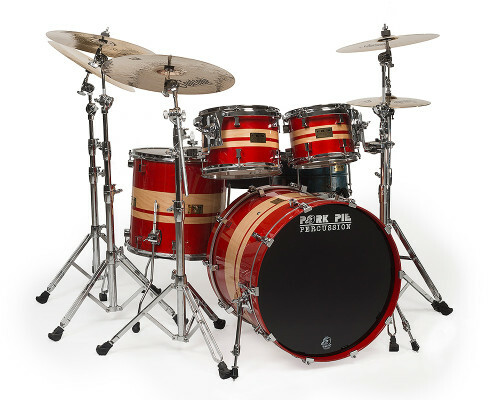 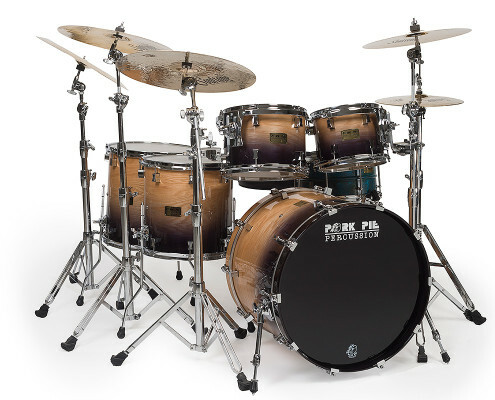 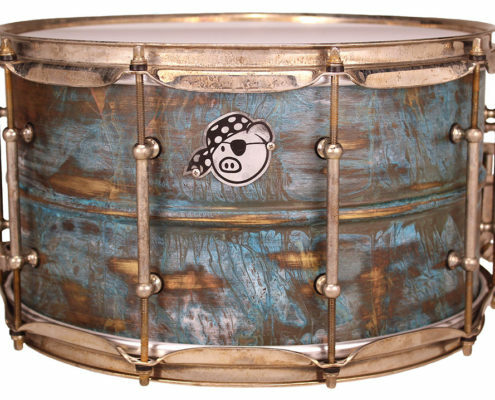 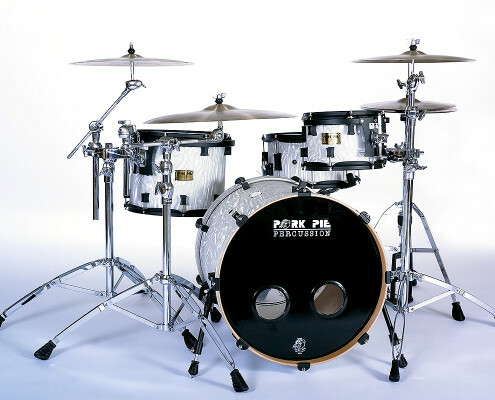 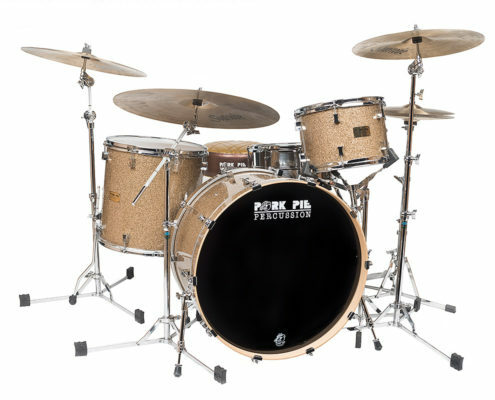 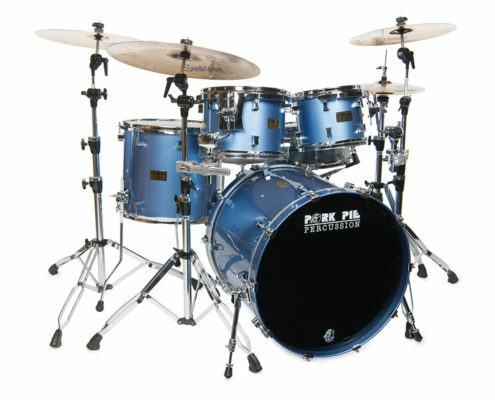 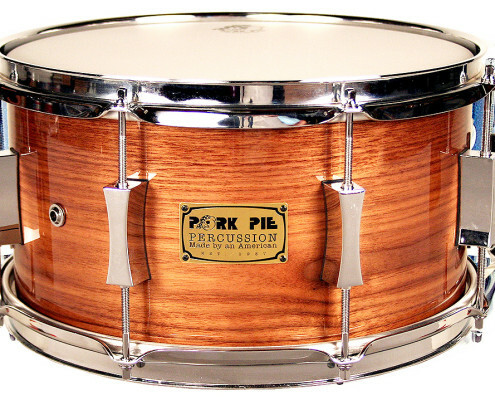 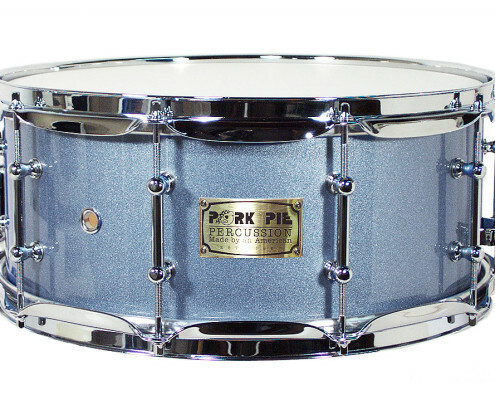 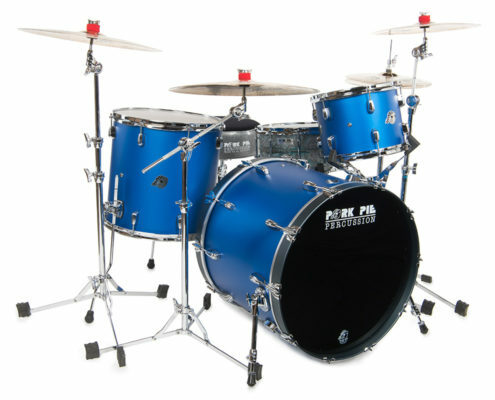 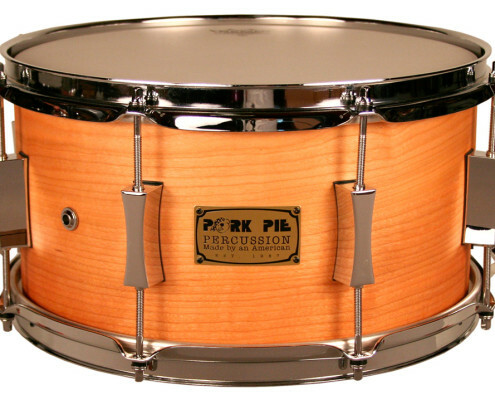 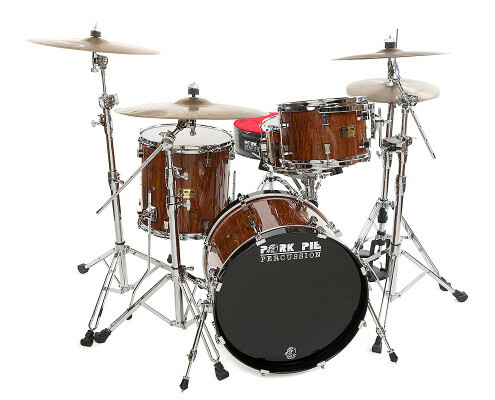 Pork Pie uses American made Maple shells using a progressive ply design. 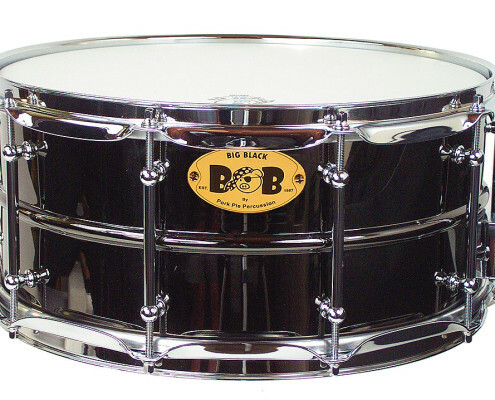 Rack toms from 6” to 13” are 6 ply. 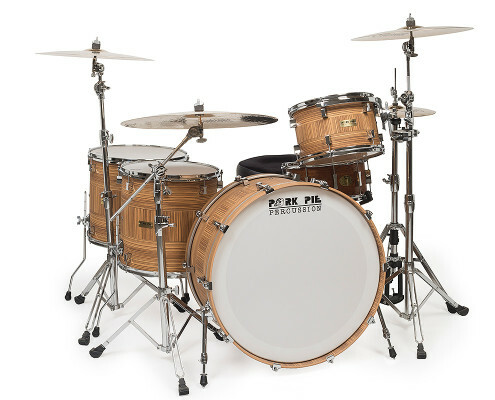 Toms from 14” through 18” are 7 ply and all bass drums and snare drums are 8 ply. 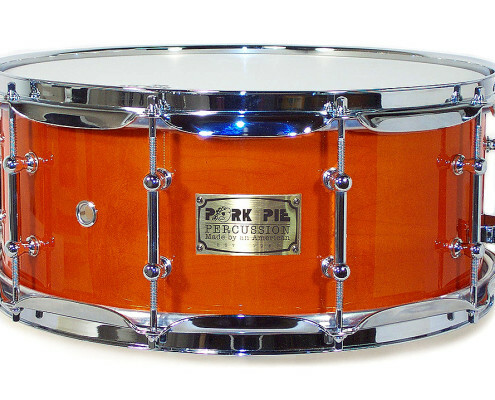 Pork Pie bearing edges are known worldwide for bringing the most out of a drum. 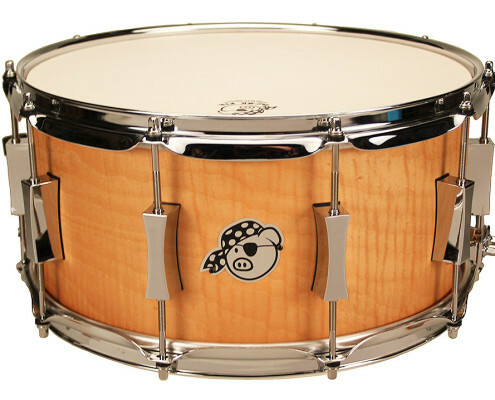 Toms from 6” to 16” are standard with a 45 degree edge on the inside with a round over counter cut on the outside. 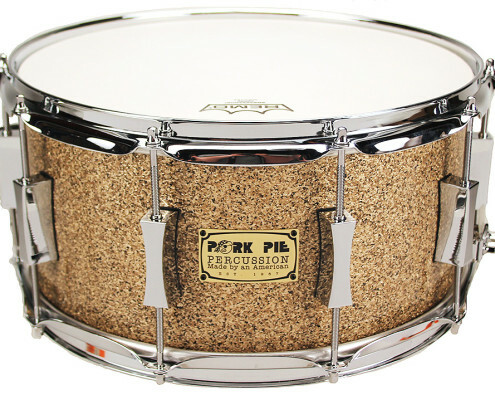 18” toms and all bass drums get a 60 degree edge on the inside with a round over counter cut on the outside. 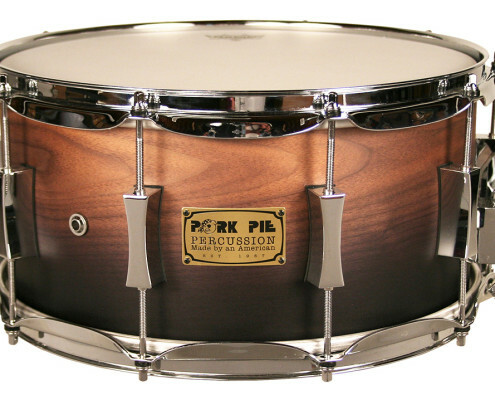 All edges are hand sanded and finished to perfection when a drum leaves the factory. 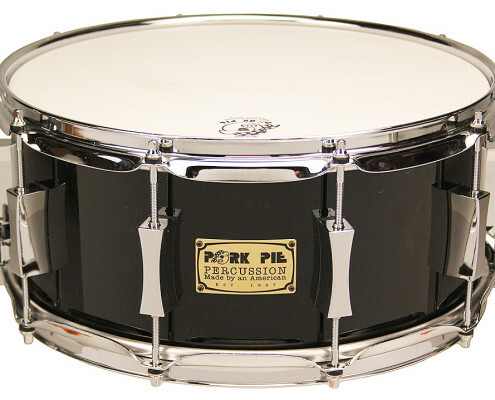 Pork Pie is known for classic yet edgy lacquered finishes. 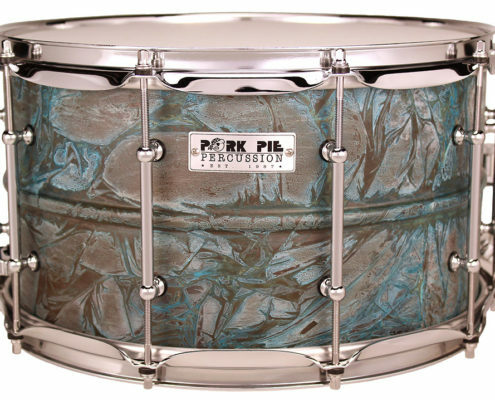 Bill Detamore handles all of the painting for Pork Pie and the 10 step finishing process insures a stunning finish. 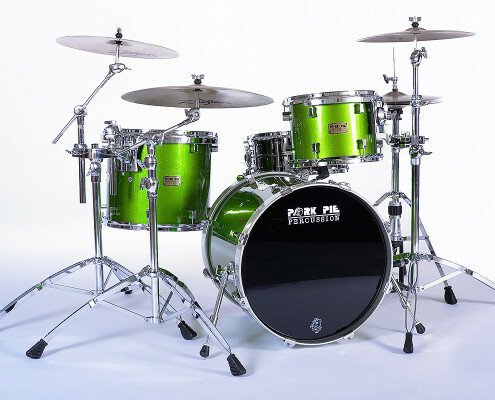 Lacquer finishes are available in high gloss, satin and flat. 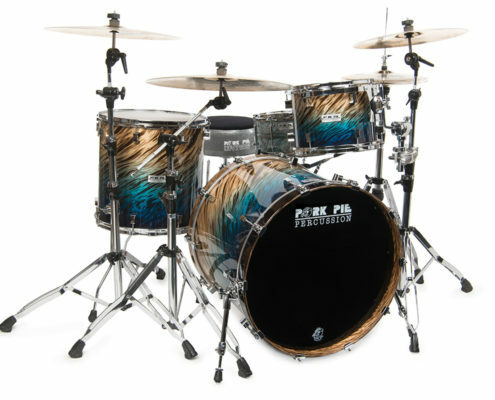 Wrapped finishes. 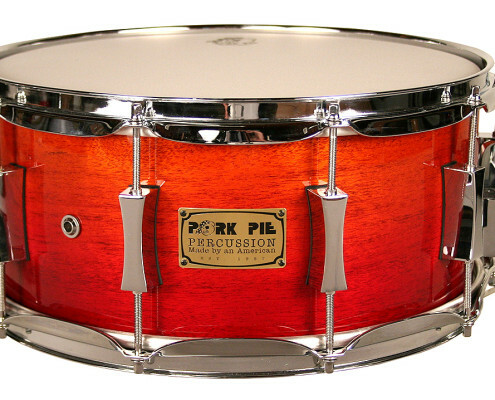 Pork Pie glues a wrapped finish 100% to the shell for maximum durability and vibration. 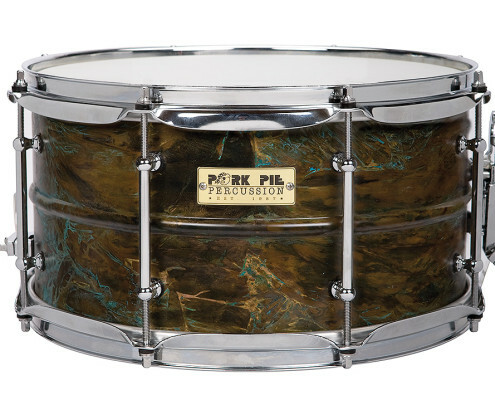 When Pork Pie laminates and wrapped finish to the shell, it is there for life. 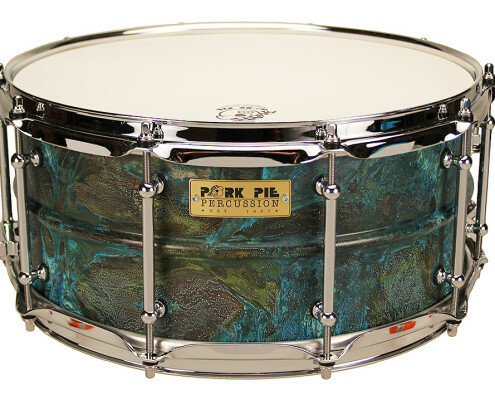 Exotic shells.Pork pie has been using exotic shells when available. 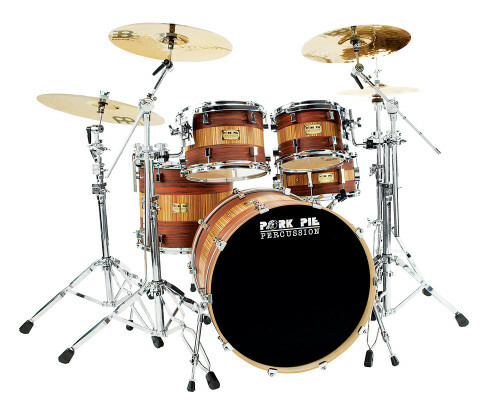 Pork pie has made drums with Walnut, Oak, Mahogany, Cherry, Birch and a mix of woods such as Cherry Bubinga, Maple Oak, Walnut Bubinga to name a few.